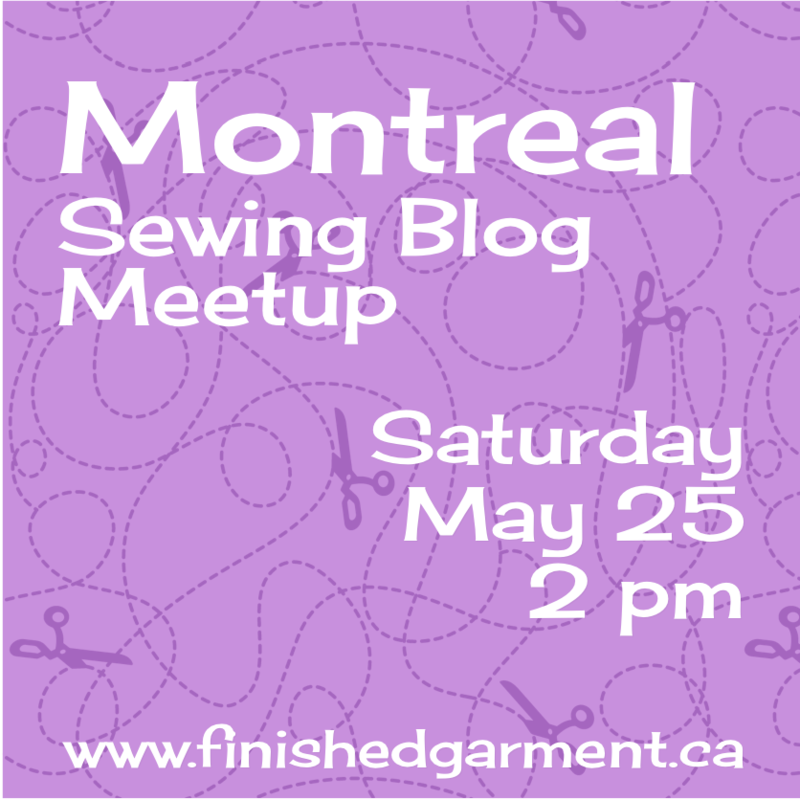 In case you haven’t heard, there will be another Montreal Sewing Bloggers’ Meetup this Saturday. We are meeting at noon on Saturday August 17 at El Chalateco at 520 rue Beaubien E. for lunch. 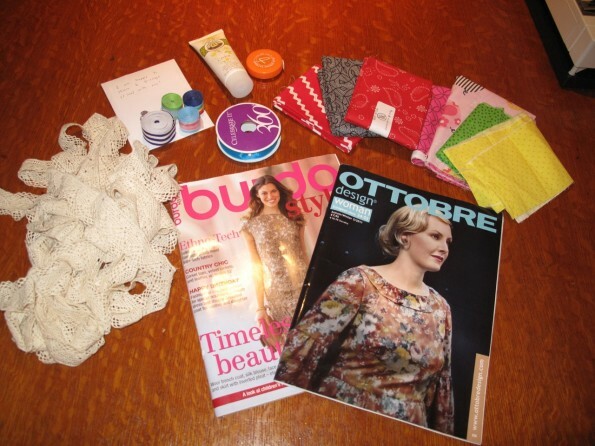 Next there will be a swap of patterns, fabric and whatever else people bring and then we will hit the shops. Fun! 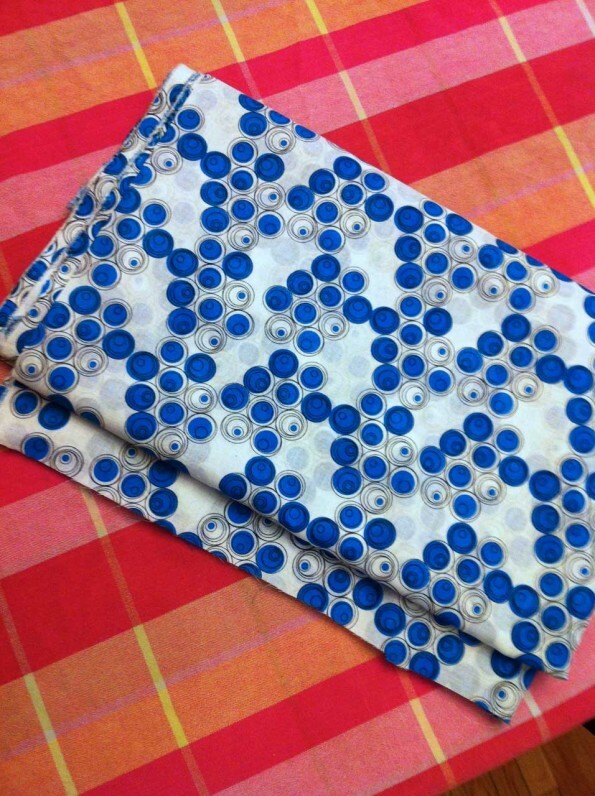 This time the meetup will be hosted by Vicki over at Another Sewing Scientist. 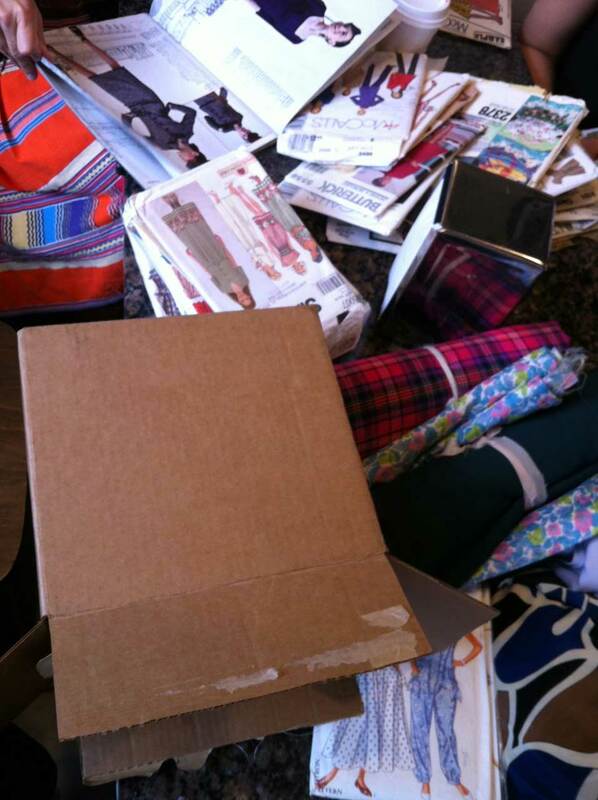 So hop over to her blog for details and to RSVP. 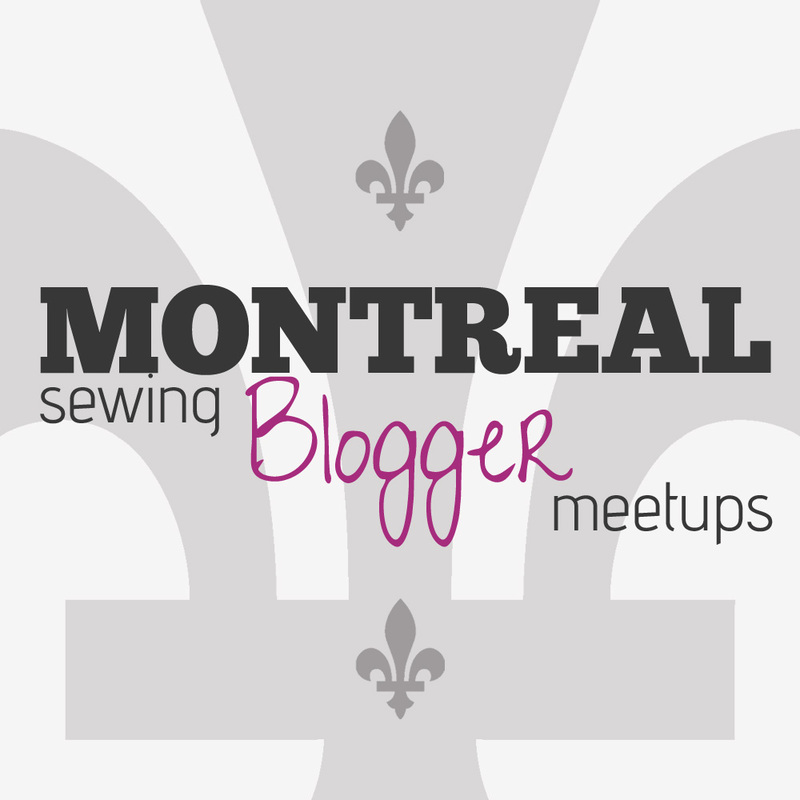 A few weeks ago I asked if anyone would like to go to a sewing meetup in Montreal, and the answer was a definite “yes”. Yay! 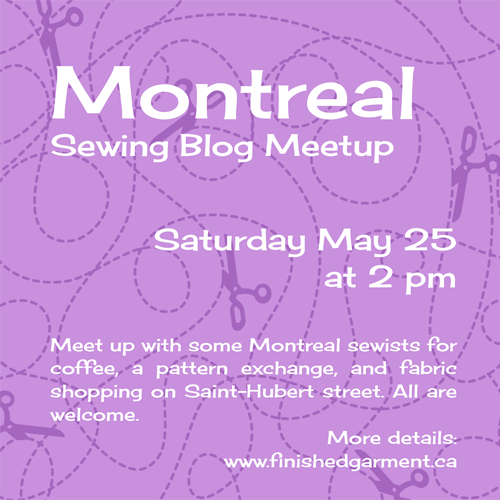 So I am happy to announce that this coming Saturday, May 25, there will be a sewing meetup at 2 p.m. We’ll meet at Caffé Mille Gusti on St-Zotique. 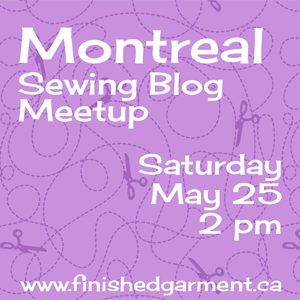 It’s very close to Saint-Hubert, but it’s a bit small, so if lots of people RSVP, we may change the location. Be sure to RSVP yourself to get any updates. For those taking the public transportation, the nearest metro station is Beaubien. We’ll grab coffee at 2 p.m and have a quick pattern exchange (bring those patterns that just aren’t for you). 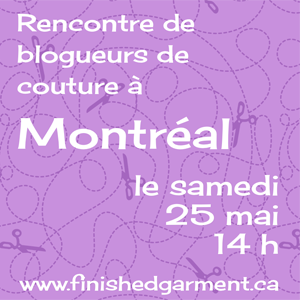 Then we’ll hit the fabric shops on Saint-Hubert: Effiloché, Couture-Elle, Rubans, Boutons and more (or less, if everyone finds what they need right away). We may also try Saint-Laurent. 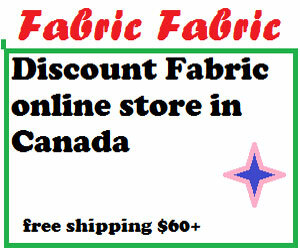 Montreal has some great fabric shops, but there is so much to choose from that it can be overwhelming, at least for me. I need a second opinion. That could be you! 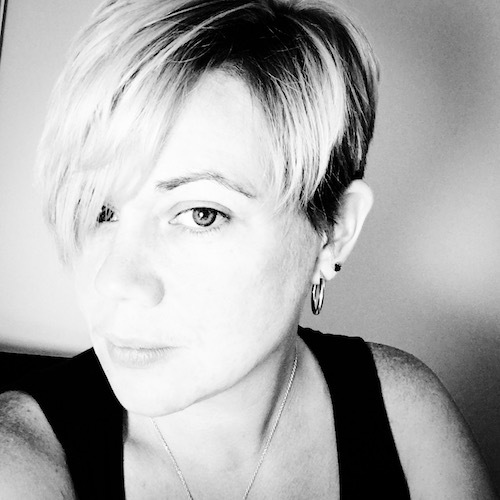 Out-of-towners are welcome and having a blog is entirely optional. If you are worried about language, don’t. 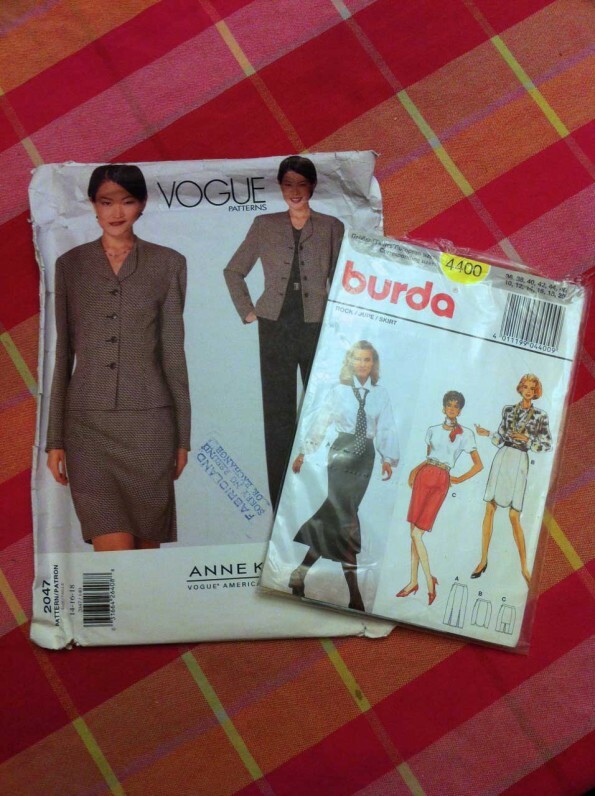 All the shop clerks will speak both English and French. I know some people would have preferred a different date, but that means only one thing! We’ll just have to have another meetup. 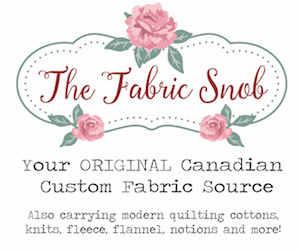 I just hope my fabric budget can take it. If you would like to RSVP, send me a quick email so I know how many people to expect. See you then! Here are some buttons for you as well.